CONCORD – A bill originally designed to resolve right-to-know disputes quicker by hiring an ombudsman hit a detour in a House Judiciary subcommittee meeting Thursday because of inadequate information about the potential cost. House Bill 103 has also become controversial because opponents say sponsor Rep. Lynne Ober, R-Hudson, rewrote failed legislation proposed last year that was supported by right-to-know advocates and made changes such as adding a $300 filing fee, which they oppose. On Thursday, Ober told a three-member House Judiciary subcommittee at the Legislative Office Building that without a complete breakdown of the costs for the new position, the bill was likely to die in the Finance Committee. Ober is also the clerk of the Finance 1 Committee. She is not related to Gail Ober. “What good is an ombudsman without a telephone?” Ober asked while recommending that the committee retain the bill and ask the Department of Administrative Services for a fiscal review, noting that the 2018 senate bill seeking the same ombudsman carried a $48,000 price tag. Advocates of hiring an ombudsman, including David Saad, president of Right To Know NH, have spoken against HB 103. “RTKNH strongly supports the need for an ombudsman to handle right-to-know complaints, however, we oppose HB 103 because it goes against several of the recommendations of the Study Commission,” said Saad, who served on the 13-member study group that recommended hiring an ombudsman. In an opinion piece published this month, Saad said HB 103 is flawed because it also eliminates a citizen oversight board for the ombudsman and charges $300 for a filing fee, which he said is just as prohibitive for the average citizen as the $280 Superior Court filing fee. Acknowledging that it wouldn’t completely pay for the position, Ober told the subcommittee that she incorporated the $300 fee to help offset some of the financial concerns. HB 103 as proposed by Ober would create an ombudsman who carries the same authority as a Superior Court judge but could expedite contested right-to-know requests by eliminating the need to go through the court system. A decision of the ombudsman could be appealed to the Superior Court, where the process would begin anew. Proponents of the bill argue that the part-time ombudsman, who would be a lawyer who is familiar with the state’s right-to-know law with at least 10 years of experience, would provide a streamlined process for public information seekers to either get what they want or a valid legal reason why they can’t have it. Currently, an aggrieved party must go through Superior Court if the government body turns down his or her right-to-know request – a process that can be costly for both sides in legal bills and court fees. Cases can take months, if not years, to be adjudicated. Opponents of the 2018 measure, SB 555, said there are relatively few cases filed with the courts and the $48,000 to fund the office would not be a good use of state money. Saad said Ober was instrumental in causing SB 555 not to pass last year. The ombudsman issue is also going to be addressed in two other pieces of legislation this session that are the same or almost the same as SB 555, Saad said. Sen. Bob Giuda, R-Warren, essentially resubmitted the language of SB 555 this session with minor changes and Rep. Ken Weyler, R-Kingston, essentially resubmitted the same bill, Saad said. Four bills related to New Hampshire’s right-to-know law will be heard at the LOB on Jan. 23, he said. Saad also spoke out against incorporating the ombudsman within the state’s Department of Justice, saying that creates a conflict of interest because the Department defends civil actions against the state. 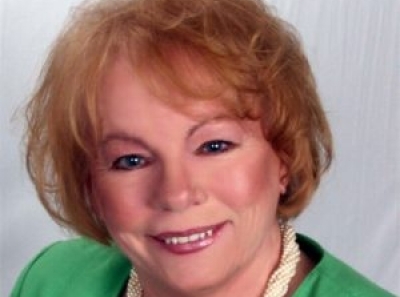 At the subcommittee meeting on Thursday, Rep. Sandra Keans, D-Rochester said the New Hampshire Municipal Association also opposes having the office associated with the Department of Justice. InDepthNH.org reporter Nancy West contributed to this report. 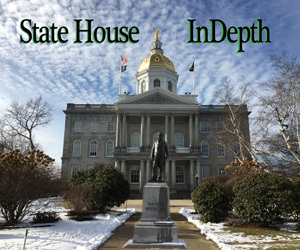 InDepthNH.org is NH’s only statewide, nonprofit online news outlet.